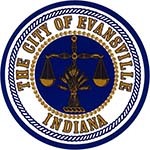 HOPE of Evansville announced this month it was awarded $1.2 million in low-income housing tax credits from the Indiana Housing Community Development Authority (IHCDA). HOPE expects to sell those credits to an investor to raise the nearly $12 million dollars needed to fund its next affordable housing project: 60 units in the Tepe Park, Goosetown, and Culver neighborhoods. HOPE of Evansville and NRP Group have worked in partnership previously for Homes of Evansville I and experienced great success. In 2012, HOPE and NRP received $1 million in tax credits, which it then sold for $10 million. That money was used to build the first 40 units of income-restricted housing in Goosetown, Culver, and Tepe Park. HOPE of Evansville II was up against 47 projects from around the State of Indiana. Among the 14-statewide tax credit recipients Evansville Housing Authority also received an award. For more information on upcoming housing projects or to find out how HOPE can help you become a home owner, contact HOPE of Evansville at 812-423-3169.